I have been thinking about this project for a long time so I am really happy with how well it came together. 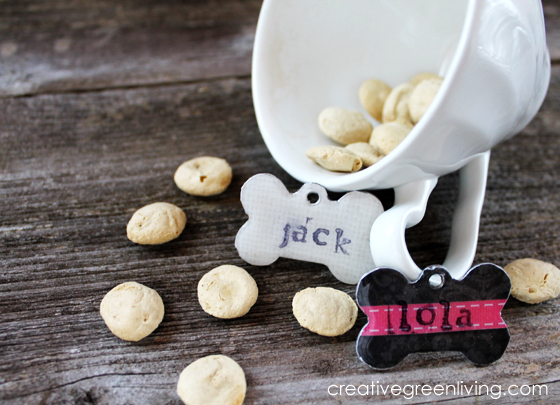 This is a fun way to give your petshop-engraved tag some flare (you can personalize the unengraved side). 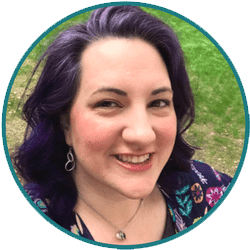 OR use it as a way to update your contact info on an out-of-date tag by printing off your contact info on a tiny piece of paper and following these same instructions. Dimmensional Magic gives the tags the professional, finished look of enamel but is non-toxic. These tags are water-resistant but the Dimmensional Magic is not waterproof so be sure to remove their tag if you take your dog swimming. 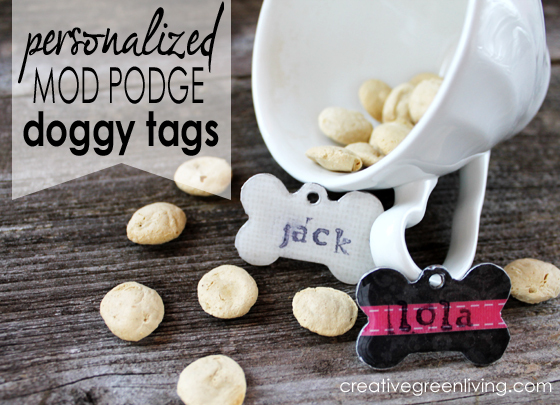 Coat your dog tag with a thick layer of mod podge. Flip it over, podge-side-down and smooth the paper on top of it. Let it lay as pictured with the tag on top of the paper to dry for about 2 hours. 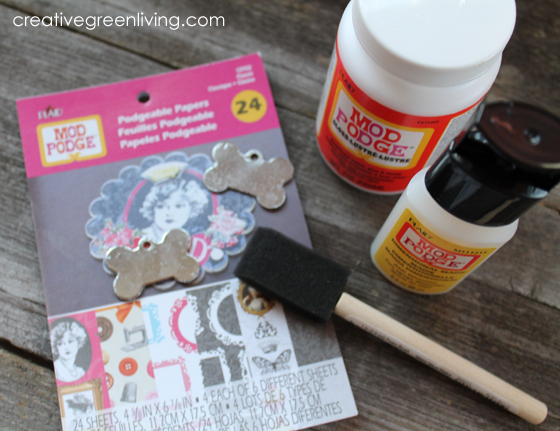 Use a craft knife to cut around the outer edges of the dog tag. Remove excess paper and smooth edges with nail file if needed to remove jagged or torn edges. Use the dimensional magic to cover the top of the tag all the way to the edges. Allow to dry for at least 3 hours or overnight before attaching to a jump ring and adding to your pet's collar. Love these! Where did u find the blank dog tags?